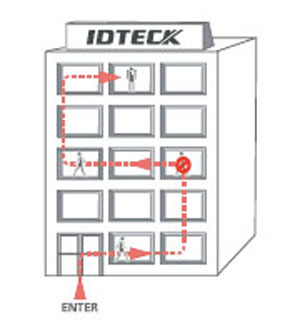 If used with IDA245/IDA245H2 Active Tag, reading range can be selected up to 10 M depending on the installation environment. 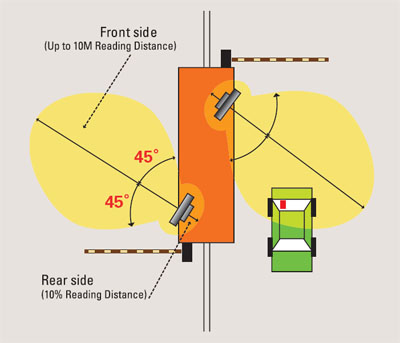 The tag of the registered vehicle is stored in the memory to prevent overlapping identification of tags. 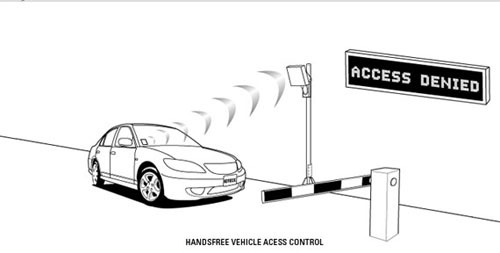 The Gate at the Same Time Eliminates multiple readings as it only reads the vehicle’s tag that approaching the sensor (loop coil). Identifies 30 cards per second, which is suitable for logistic tracking when RF tags are attached to the logistics. 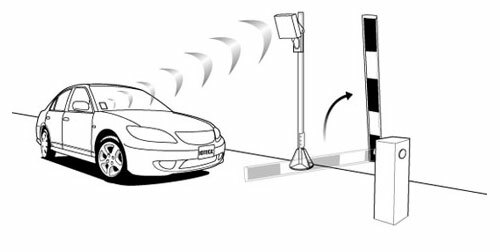 (360° Omni-directional Antenna Selectable) Includes 90° one-directional antenna for stable long range identification. 360° omni-directional antenna is also available for asset tracking and personal tracking. 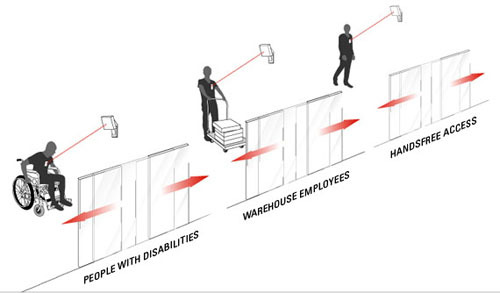 Identifies 30 cards per second, which is suitable for logistic tracking when RF tags are attached to the logistics. Each tag is internally programmed with site code, which makes the readers to read the tags with configured site code. Different areas could be configured with different site codes to strengthen the security level by not allowing the readers to read unregistered tags. Offers separate output for bar-gate control to operate the bar-gate control relay. Transistor Output supports up to 100mA of electric current and sends signals for one second. Guarantees stable communication with all devices that supports 26 bit wiegand and RS232 communication. RF245 can be installed outdoors due to its 100% weather-proofepoxy molding. The reader automatically configures default channel settings andsite code when power is applied.